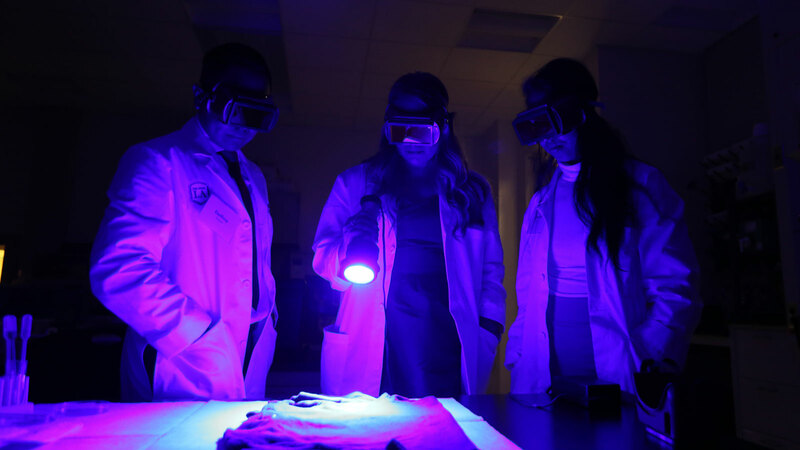 Inside a room within the Hertzberg-Davis Forensic Science Center, students in white lab coats and goggles demonstrate Luminol tests, spraying the chemical solution to reveal a blue glow where previously hidden traces of blood are detected. 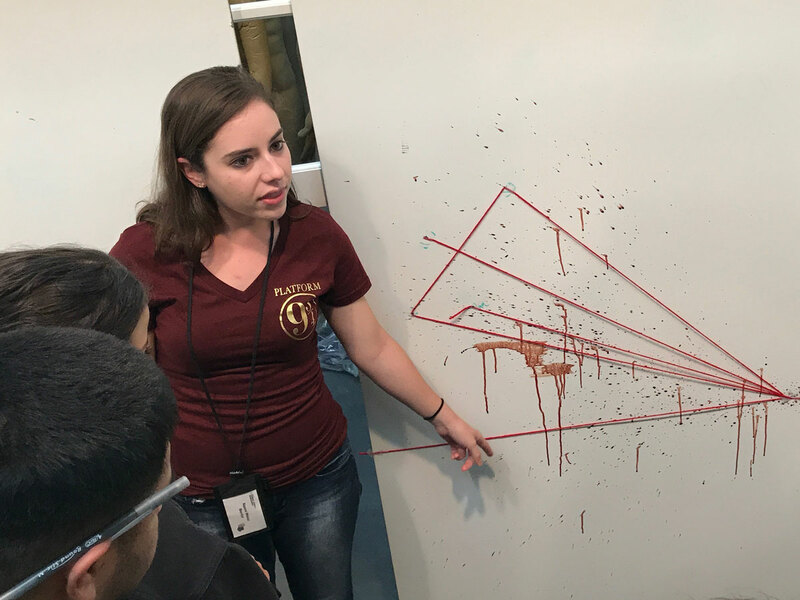 Across the hall, another group of students analyzes patterns in blood spatter and showcases the intricacies of fingerprinting. This center on the edge of the California State University, Los Angeles campus is where, for the past decade, real-life “CSI” has met University academics. The center’s graduates can be found throughout Southern California, excelling in careers in forensics or criminalistics. 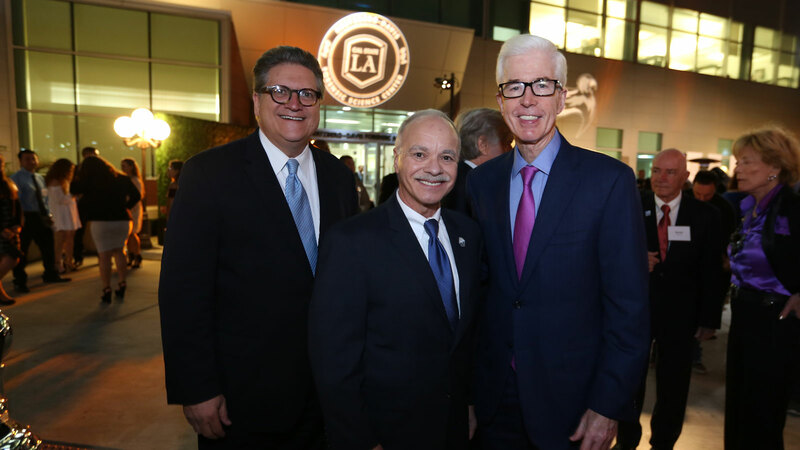 “As we celebrate, we look back, of course, with great pride at what’s been accomplished and recognize that the work that takes place here every day has an immeasurable impact on Los Angeles,” Cal State LA President William A. Covino said at an Oct. 30 celebration marking the center’s 10th anniversary. The Hertzberg-Davis Forensic Science Center houses the laboratories of the Los Angeles County Sheriff’s and Los Angeles Police departments, and is also home to the Cal State LA School of Criminal Justice and Criminalistics and the California Forensic Science Institute. 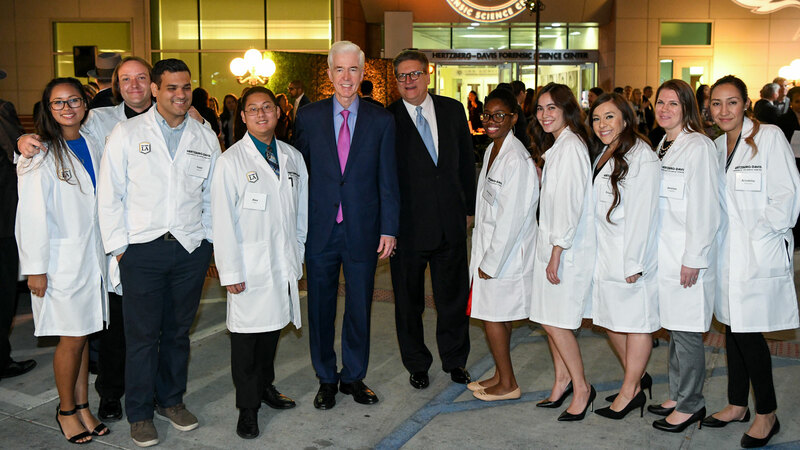 The anniversary reception honored the center’s namesakes, State Senator and former Assembly Speaker Robert M. Hertzberg and former California Gov. Gray Davis, both of whom were instrumental in securing funds for the construction of the regional crime lab. As Assembly speaker, Hertzberg championed the need for improved forensic science capabilities across California. Along with then-Gov. Davis, he helped ensure funding for the center, now the largest regional, municipal crime lab facility in the nation. During the reception, Covino presented to Hertzberg and Davis the California State University, Los Angeles Presidential Medallion. The medallion is the University’s highest honor and is bestowed upon individuals who have displayed outstanding leadership and extraordinary service to the community. “It took a lot of people with a lot of vision and a lot of work to make this thing happen,” Hertzberg said to the hundreds of people gathered at the reception. The center came to fruition because of “government working together at its best,” he said. 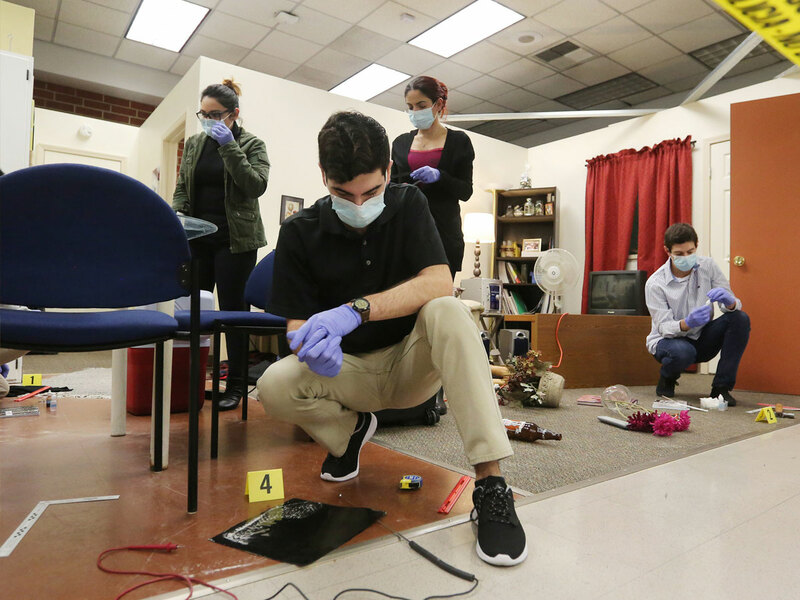 Cal State LA students accepted into the highly competitive programs take courses related to forensic sciences, including crime-scene reconstruction and courtroom testimony, and have opportunities to work with LAPD and LASD investigators. Since the center opened its doors on the University’s campus in 2007, more than 2,000 students have completed their bachelor’s degrees in criminal justice. Many graduates of Cal State LA’s criminalistics master’s degree program have gone on to work as crime lab employees for the LAPD and LASD. Cal State LA Executive Vice President Jose A. Gomez, who was the emcee of the anniversary event, noted the invaluable real-world experience students receive thanks to the facility. “The center merges scholarship with training and allows our students to benefit from working with the best in the business—crime scene investigators and forensic scientists from the Los Angeles County Sheriff’s and Los Angeles Police departments,” Gomez said. Lead photo: Students demonstrate Luminol tests that reveal previously hidden traces of blood. Photo 4: Criminalistics students stage a mock crime scene. Photo 5: Students learn about blood splatter analysis.